The Chapel of Christ the Healer at Cork University Hospital was first dedicated in May 1980. Recent reconstruction at the hospital meant that the Chapel had to be moved to a new space further along the main entrance corridor. On Sunday, 3rd February, the Church of Ireland Bishop of Cork, Dr Paul Colton, celebrated the Eucharist of The Feast of the Presentation of Christ in the Temple, during which the new space was formally dedicated. The Reverend Canon Dr Daniel Nuzum who is Church of Ireland chaplain at the hospital assisted. The Service was also broadcast live on radio CUH 102FM. 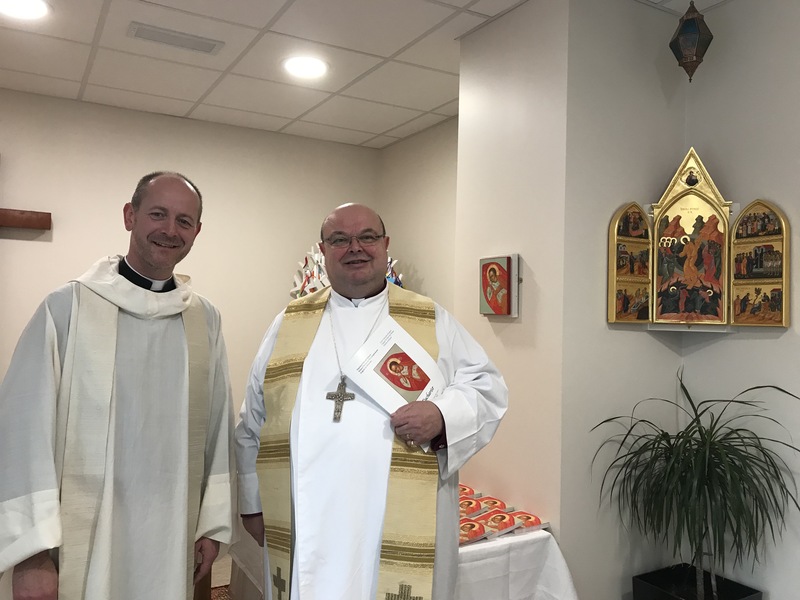 The Reverend Canon Dr Daniel Nuzum, Hospital Chaplain, in the relocated Chapel of Christ the Healer at Cork University Hospital. 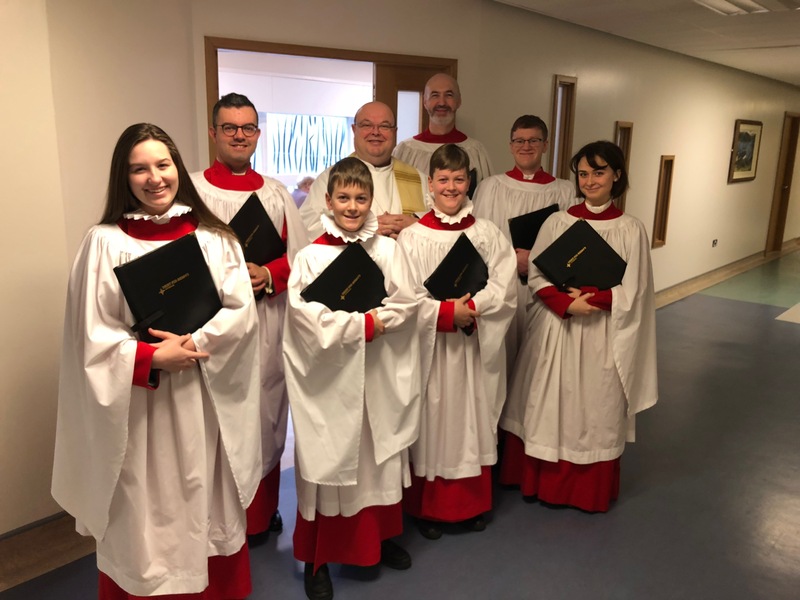 Some members of the choir of Saint Fin Barre’s Cathedral, Cork, under the direction of Mr Peter Stobart, were present to sing the motet ‘When to the Temple Mary went’ by Johannes Eccard (1553-1611). Some members of the choir, under the direction of Peter Stobart, with Bishop Colton, before the Service. For information about the Chapel of Christ the Healer visit HERE. 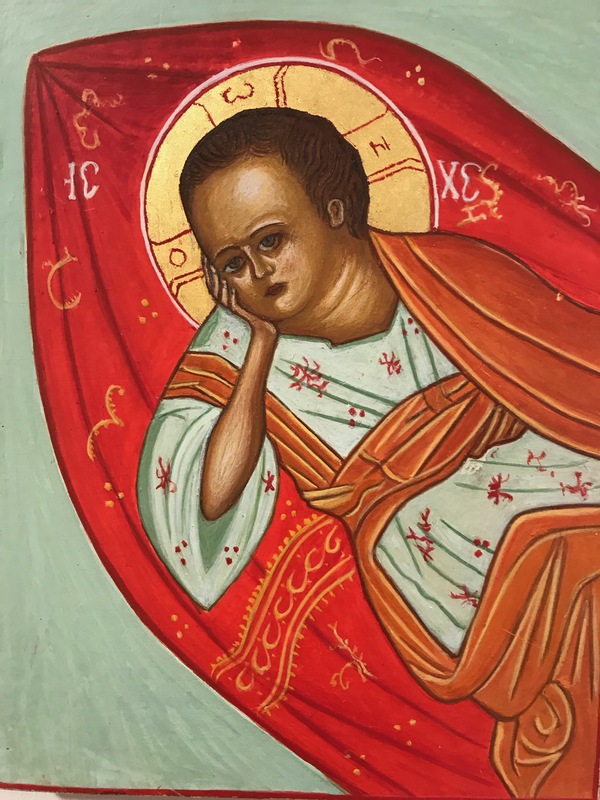 This entry was posted in Cathedral Choir, Chaplaincies, Christian Art, Church Services, Dedication, Icon, Special Events. Bookmark the permalink.